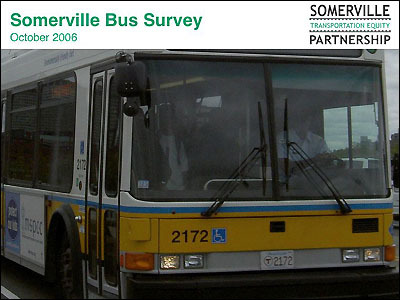 – Benchmark current usage of and satisfaction with MBTA bus service through Somerville. – Identify any issues with specific bus routes. 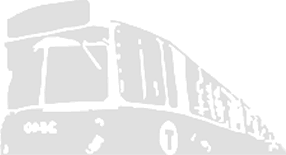 – Quantify potential improvements to bus service. The survey was open from July 15 to October 11, 2006, and was distributed via paper, email, and web site links. The mail-in paper version was distributed across Somerville, including handouts at bus stops and local events (e.g., ArtBeat), and was available in English, Spanish, Portuguese, and French. Links to the web-based version were available on SomervilleSTEP.org, the City of Somerville web site, The Somerville Journal, and email invitations. In all, 245 people completed the survey. Though this is not a statistically accurate sampling of the Somerville population, the survey findings are directionally valid. Tired of broken trains and three-hour commutes? Sign this petition.